WINNSBORO — In the aftermath of a horrific incident in which a 20-year-old Winnsboro woman was severely burned, nearly 130 residents of the tight-knit community attended a candlelight vigil Tuesday night to offer prayers and support to Sharmeka Moffitt and her family. The vigil took place hours after investigators said Moffitt lied to police when she claimed three unidentified assailants in white hoodies set her on fire. The attackers also were alleged to have written “KKK” and the N-word on her car in a paste-like substance. Investigators said it was Moffitt who set herself on fire after writing the words on her Buick LaCrosse. Moffitt’s DNA, as well as her fingerprints, were found on a charcoal lighter fluid container, as well as a lighter, investigators said. Franklin Parish Sheriff Kevin Cobb said various theories of what happened to Moffitt began floating around as soon as Sunday, but law enforcement chose to wait before jumping to conclusions. 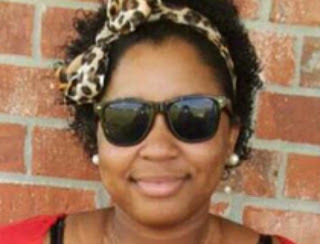 Moffitt suffered burns to 60 percent of her body and remains in critical condition at LSU Hospital in Shreveport. She has third-degree burns on her arms and other areas. Moffitt’s family released a statement late Tuesday thanking law enforcement for their thorough work and apologizing for her actions. “Our family is devastated to learn the circumstances surrounding our daughter’s injuries,” the statement said. “While this was not the resolution we had expected, it is a resolution, and we appreciate the thorough investigation by the local and state police, as well as federal agencies. Whether Moffitt will face criminal charges is in the hands of the Franklin Parish District Attorney’s office. Alice Prescott, Moffitt’s former teacher at Baskin School in Winnsboro, said she was shocked to learn her former student had set herself on fire. “I never saw this coming,” Prescott said. Rene Johnston, a Winnsboro resident, said regardless of the situation, the community has a way of wrapping itself around families. Johnston said she learned that for herself several years ago when she lost her teenage son to leukemia. Residents say although the community is close, Moffitt’s story did increase racial tensions. Winnsboro resident Ta’niqua Smith said racial issues were not a problem for her before Moffitt’s incident, but she, like many, became worried as news spread. Smith said her fears were alleviated as more information came to light. Bishop Justin L. Connors, district vice president of the Louisiana NAACP, said the organization continues to stand behind Moffitt as she has not had the opportunity to speak out on the latest developments. “We stand on the side of this victim because we are in limbo,” Connors said. While Winnsboro residents continue to look for reasons behind Moffitt’s actions, Winnsboro Police Chief Lester Thomas said the incident is a tragedy for everyone. I had a feeling that this would turn out to be the case. Very sad and disturbing story.